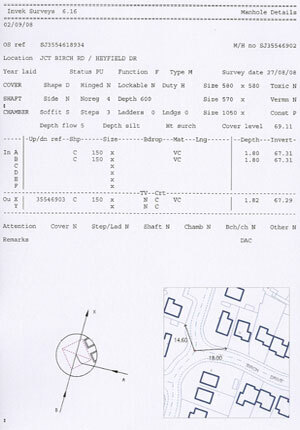 Nationwide we have carried out in excess of 150,000 manhole surveys since the company formation in 1993. This is our core business activity and very high standards are guaranteed through continuous development of all surveying and quality procedures. The information is processed within the STC25 data format, along with an internal layout sketch, CAD drawing & location plan.